Don’t give a damn about Thanksgiving football? More thankful for Battlefield 3 or Arkham City than the Packers or the Lions? 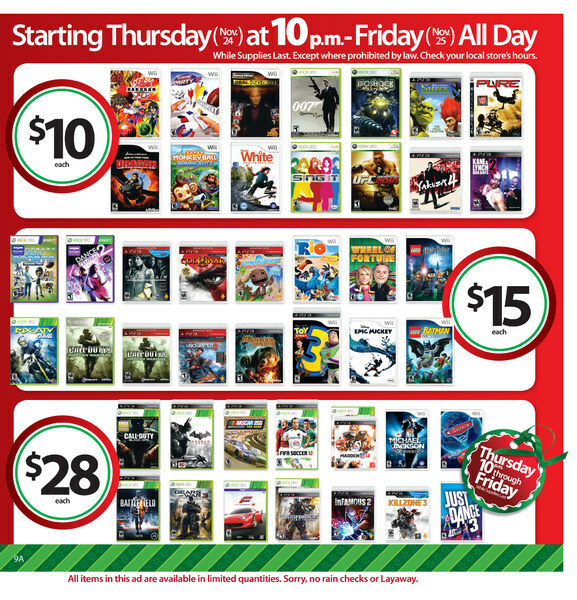 Gamers will be rejoicing this Black Friday. Retailers are planning deep discounts on even the hottest titles. According to a Reuters report, you’ll have a shot at snagging EA’s Battlefield 3 for $28 at WalMart and $30 at Best Buy. That’s a nice discount off the initial retail price of $60. Analysts are also calling 2011 the most aggressive bout of price-cutting they’ve seen for game hardware in years. Buy a 4 GB XBox and Kinect for $299 at Best Buy on Friday and the store will give you a $100 gift card. There’s even deals for gamers who dig some of the retro titles without being ironic. Special Nintendo 3DS Legend of Zelda 25th anniversary bundles will arrive in stores on Thanksgiving Day. Looks like there will be a reason to skip the big Turkey Day game after all.